Illuminate pedestals – Beautifully & safely! A profile that illuminates landing edges, made of anodised aluminium with a visible area that is 25 mm wide. Beautiful for stair steps or pedestals, for example, when you want to emphasise the steps into a lobby. 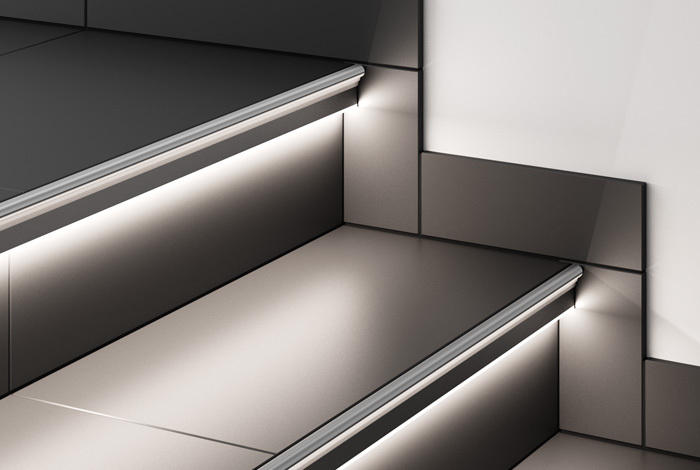 Tip: The Schlüter®-LIPROTEC-PB profile is also suitable for illuminating the edges of countertops.